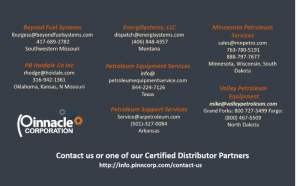 The Pinnacle Corporation announced in late 2017 its goal to establish a national presence through its new Authorized Service Contractor (ASC) Distributor Sales Channel. Since its inception in 1990, Pinnacle had always had a direct sales model and in January 2018 rolled out this additional avenue. The goal – to widen Pinnacle’s Palm POS footprint and to introduce new opportunities for its Loyalty and Affiniti Consumer and Corporate Mobile product lines for the smaller retailer. These ASC’s are getting geared up to offer the best POS on the market. Pinnacle’s Palm POS is a complete customer service/sales solution. A single point of integration provides all the functionality retailers need to run their stores with the scalability to match business demands. If you are interested in becoming a Pinnacle Authorized Service Contractor visit our website for more information: http://www.pinncorp.com/asc-program and fill out the Contact Us form. We’d love to welcome you to the Pinnacle family!